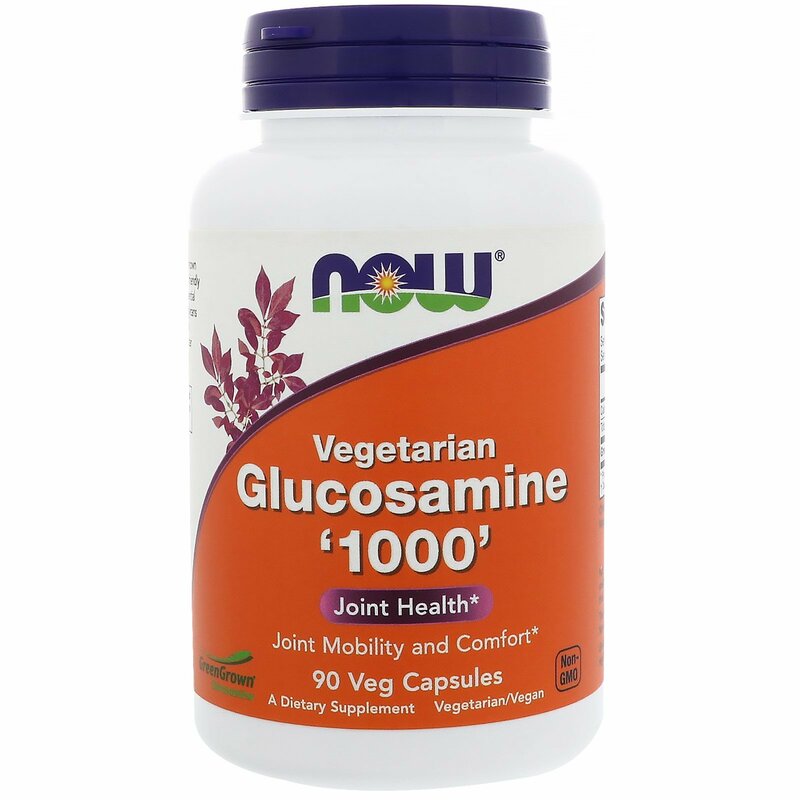 NOW Vegetarian Glucosamine '1000' is a well-known joint support ingredient that is vegetarian/vegan friendly and not shellfish-derived. 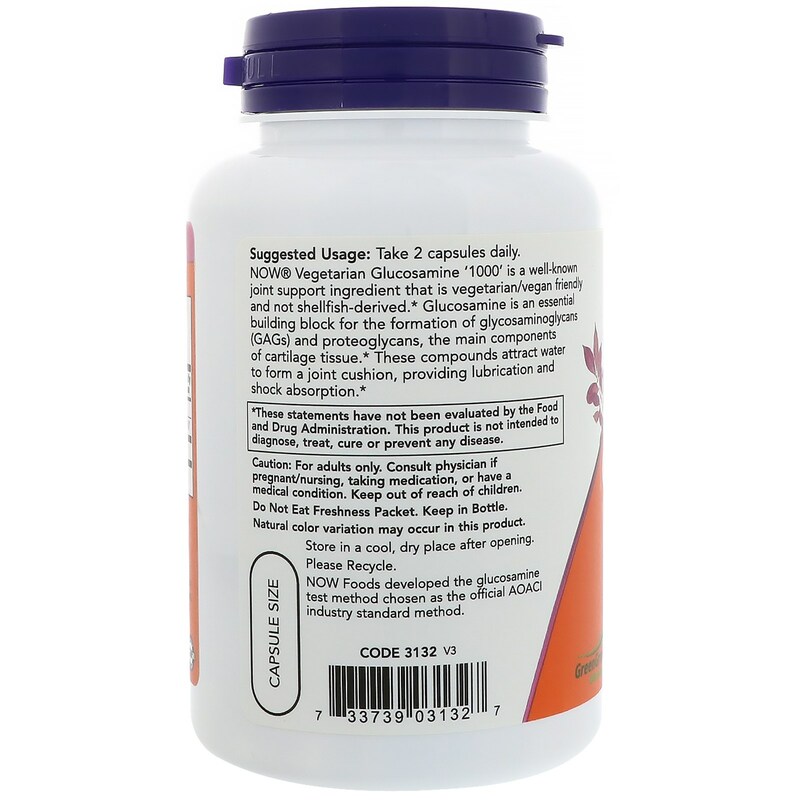 Glucosamine is an essential building block for the formation of glycosaminoglycans (GAGs) and proteoglycans, the main components of cartilage tissue. 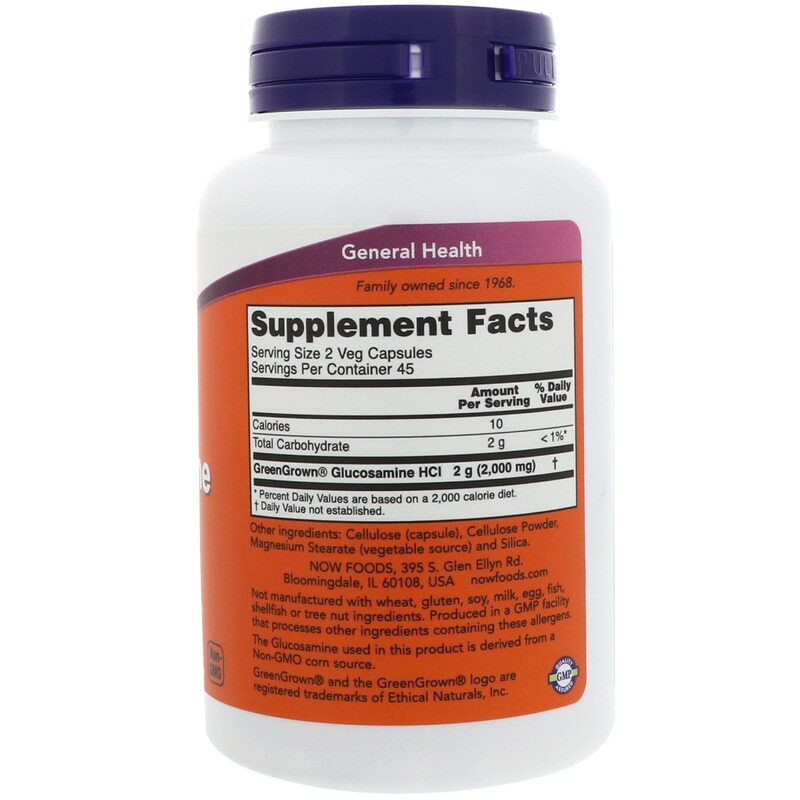 These compounds attract water to form a joint cushion, providing lubrication and shock absorption.